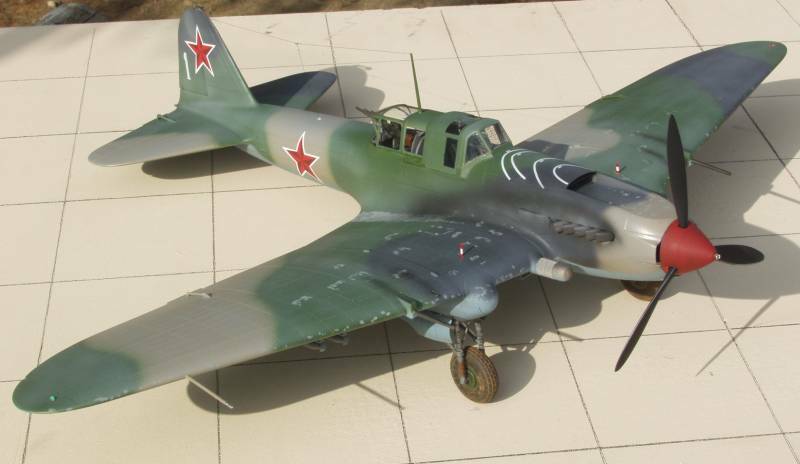 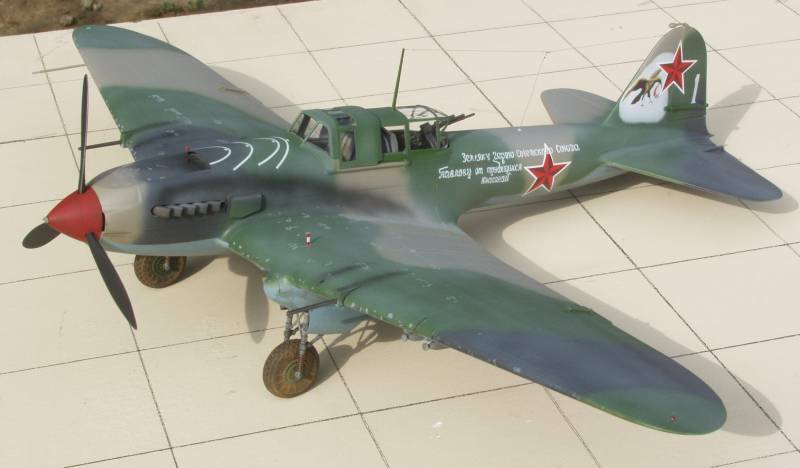 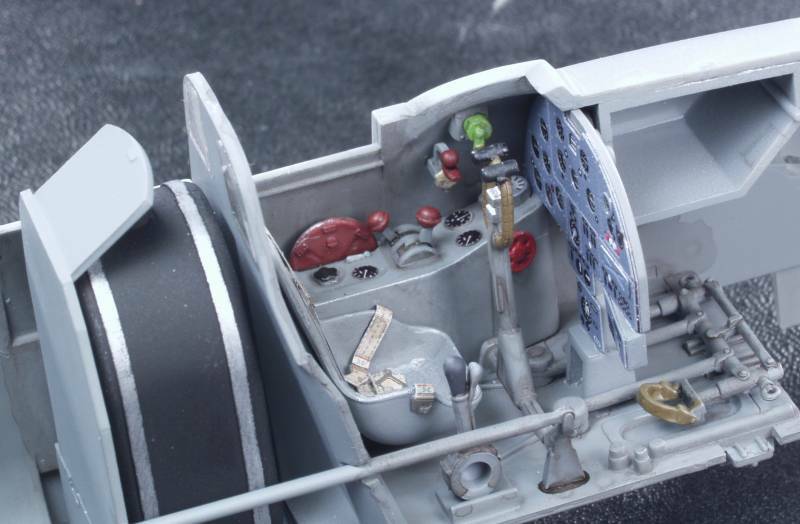 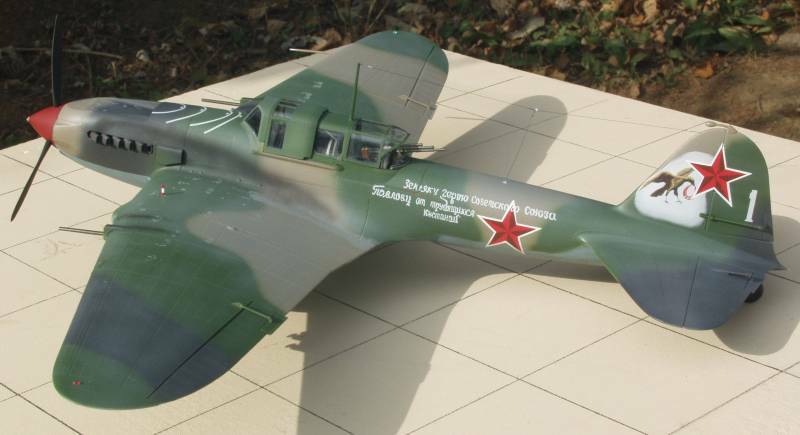 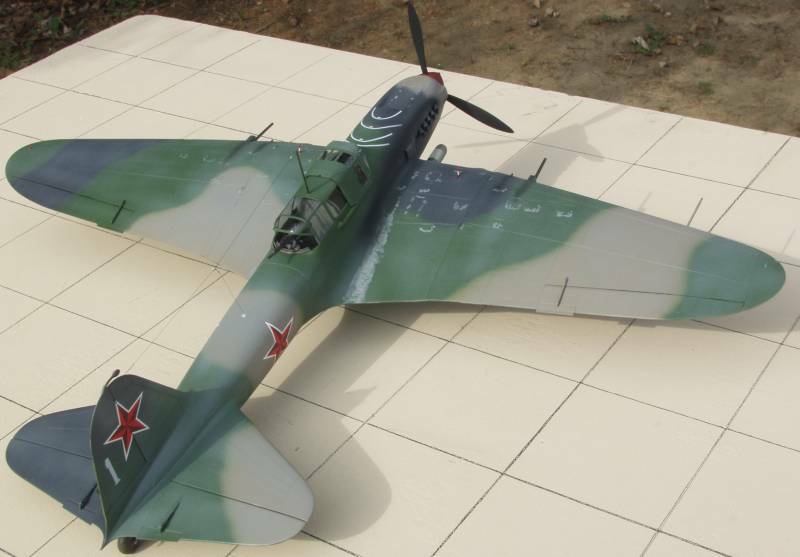 This is the Trumpeter Il-2M3 in 1/32 scale. 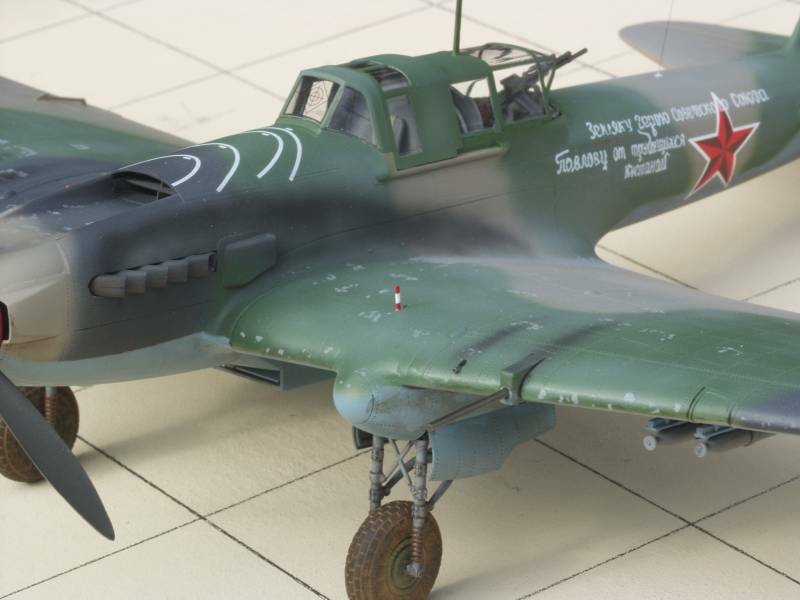 The kit has some accuracy issues and some fit issues but can be built into a nice looking model, if interested in these, please read the build log. 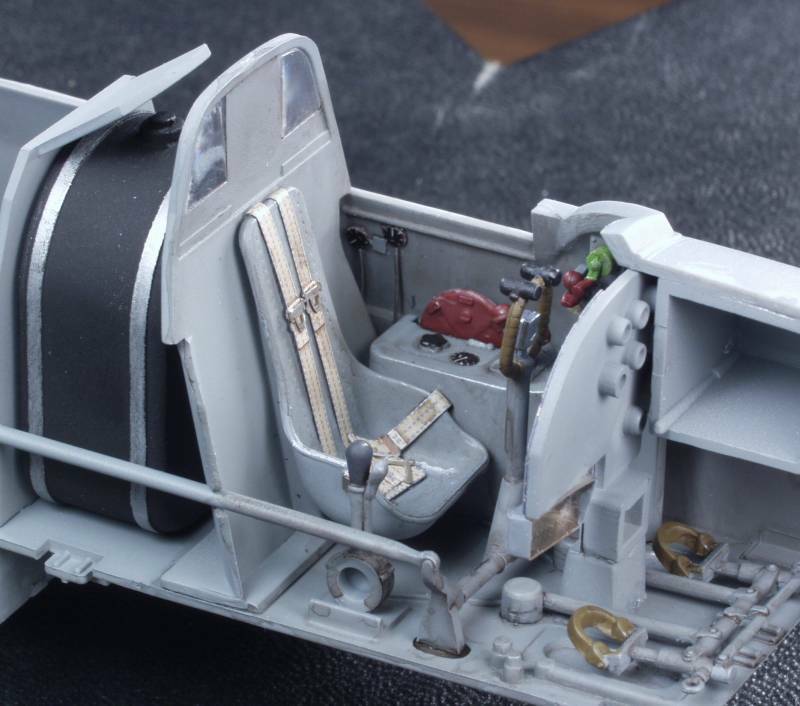 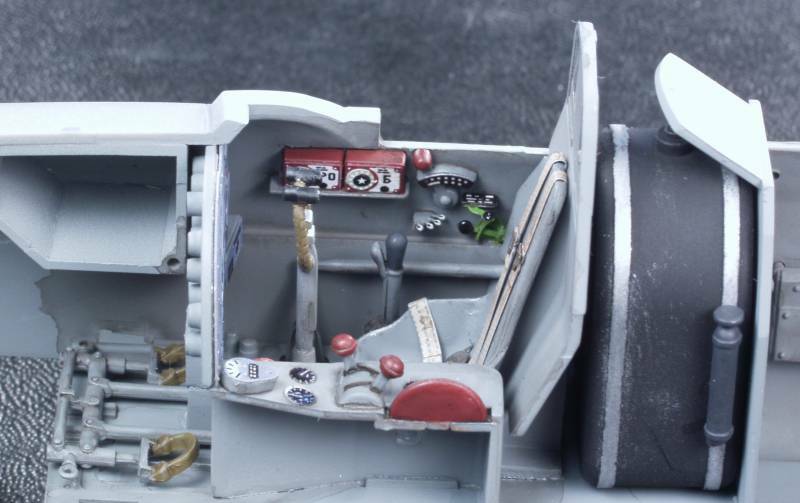 I did use some photo etch parts to dress up the cockpit. 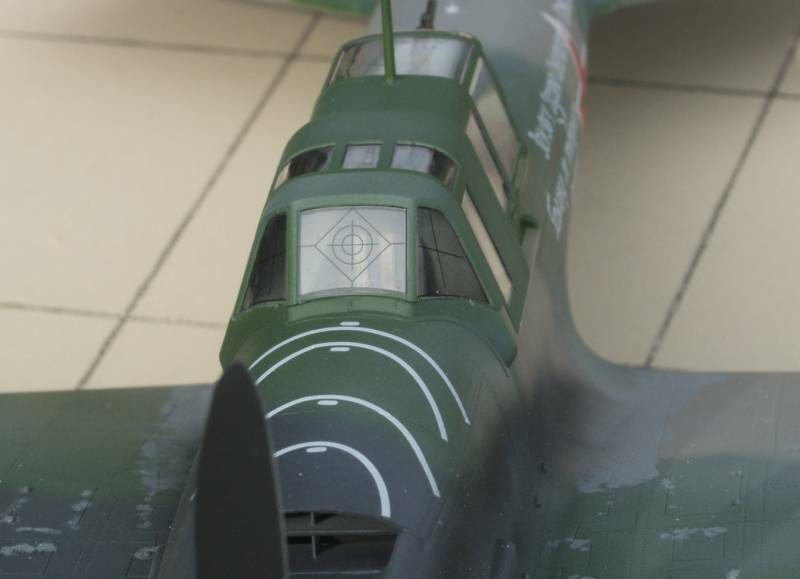 First up will be some photos of the cockpit. 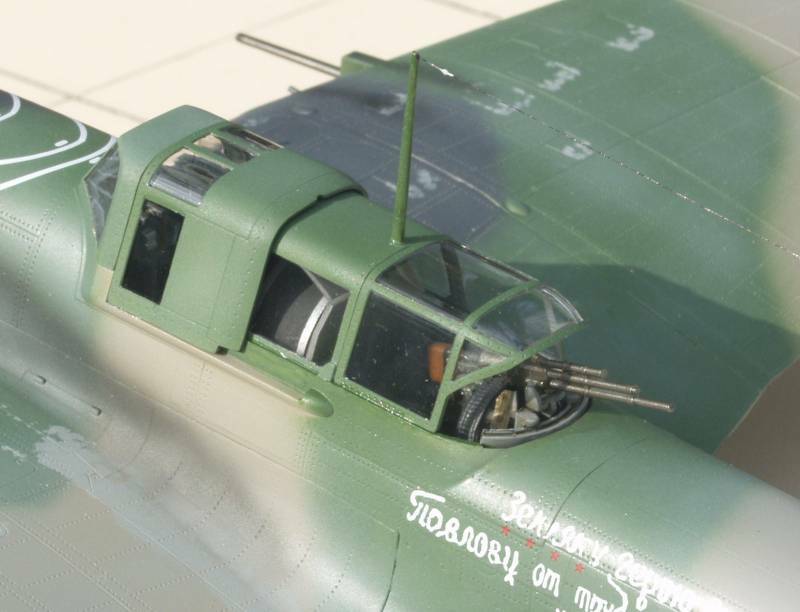 Those with an eye for detail probably noticed the gun on the port wing is drooping and the ring and bead sight is missing from the cowl, issues that I found after completion that I need to go back and correct that haven't been done. 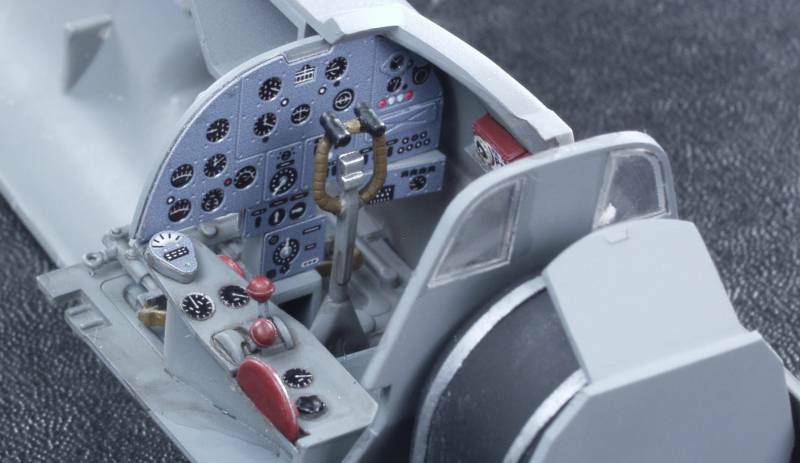 When that happens I will re shoot these with better back grounds !